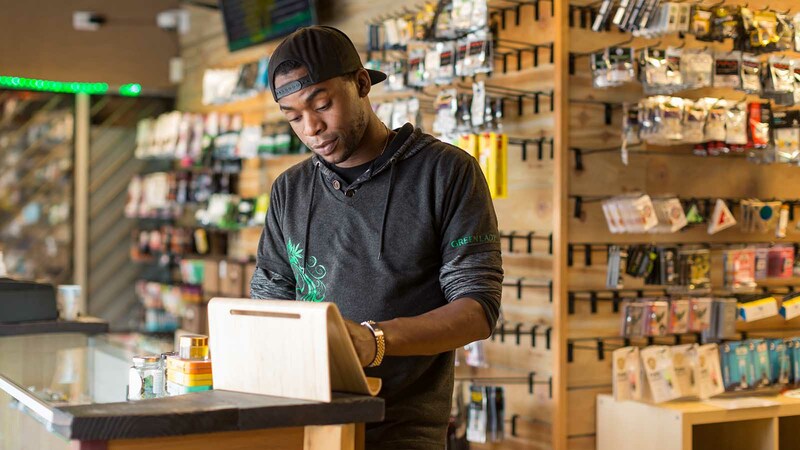 If you’re getting ready to launch your cannabis retail operation or are expanding into a new location, you know there’s a lot involved with the process. Between state licensing, local approval, finding a location and preparing it for business, there’s a lot on your plate. However, it’s still important that you take the necessary time to find qualified, responsible, trustworthy applicants to fill the positions within your dispensary. And one of the most important roles you’ll need to fill is the dispensary manager. In previous posts, we’ve discussed key interview questions to ask your potential cannabis retail store manager. Now, we're going to take a look at five major responsibilities that would typically feature on a dispensary manager job description. What Does a Dispensary Manager Do? Ensure the safety and satisfaction of all customers and employees. Liaise with law enforcement, local and state officials, vendors, and local community. Implement company policies and ensure staff adhere to best practices. Inspire staff to deliver the highest level of customer service and experience. Your cannabis dispensary manager must be able to ensure that the store is operational and that all functions, including product receipt, warehousing or storage, and sales are completed in a timely and accurate manner. Ultimately, the buck stops with the store manager — he or she will have to resolve any problems that are hindering operations once they’re beyond the scope of lower-level staff. Just as in a traditional retail store, customer complaints and employee disputes that can’t be resolved by shift supervisors will ultimately make their way to the store manager. He or she should be experienced in customer service and conflict resolution, and generally be able to keep a cool head during any situation. Hiring a dispensary manager means hiring a face for your retail store. If the police or other law enforcement agents come by, your manager will be their primary point of contact — which means communication skills are another quality you’ll want to look for in potential candidates. Likewise, the manager will routinely deal with vendors, community members, and most everyone else who comes into your cannabis retail store. In an industry where so much rides on remaining compliant, ensuring that employees follow protocol is a huge responsibility that falls to the dispensary manager. An infraction is never a good thing — but in cannabis, the stakes are much higher. At the end of the day, retail is all about customer service — and a positive, welcoming environment starts at the top with your manager. The manager sets the overall tone for the store, and your staff will feed off of his or her energy. Download our newest resource — a free guide to job descriptions for cannabis retail operations. It contains ready-to-use templates that you can customize or use as-is.